Yoip softphone Professional 2.0 will strategically add the power of live voice communication to any PC to Phone and PC to PC. Following features in the Professional softphone enhances the range to deliver a field-proven SIP based IP telephony at a cost point, which is unmatched by any other softphone service provider. 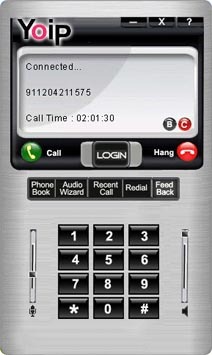 Softphone Professional (Downloadable)with one Brand Name/Logo and one Skin.